Gradual hilly course. 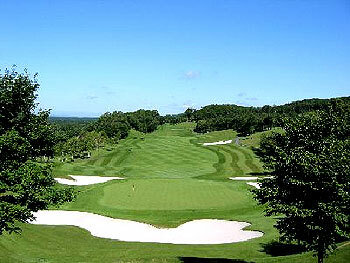 It features long and wide fairways. Shorter compared with North Wing. Natural terrain with andulations. A very fair placements of hazards that players may see all of them from the tee grounds on both courses. This course is managed by All Nippon Airways (ANA).